IES Virtual Environment is a comprehensive energy modelling and environmental analysis tool which can simulate just about everything happening to your building. Past use of Virtual Environment existed mostly outside of the architects' realm, however IES has done much recently to integrate their tools into the architectural process with push-button toolkits. The strength of the toolkit is that it can be embedded into architectural design programs (Revit & Sketchup so far) and with a modified workflow one is capable of achieving truly integrated and iterative analysis. The toolkit performs a series of independent analysis which makes it less comprehensive than the full Virtual Environment. The full suite contains an array of modules, each performing different tasks that are capable of feeding back into the main energy model. 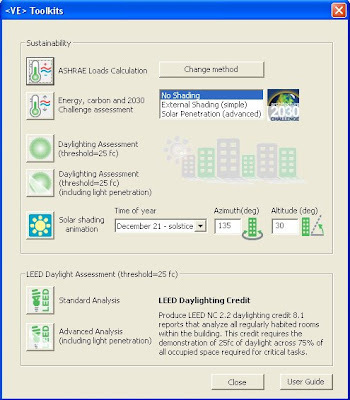 For example, if your project will utilize daylight harvesting you would first run daylight simulations and then link these results back into the thermal simulation module where you can see the energy impact from reduced cooling loads and electricity use. The process is similar for natural ventilation and solar shading analysis where separate modules link their results to the main thermal simulation engine. Even HVAC systems design can feed into the central energy model for collaborative A/E BIM analysis in a central model. It is not immediately apparent where Virtual Environment falls in the traditional A/E firm structure and project workflow. What is apparent is that the ultimate success of its use requires a process shift in either the way the architect designs and delivers, or in the roles assigned to the mechanical and energy engineers (US in particular). Either way there must be time, budget, and client expectations to ensure that this level of collaboration succeeds. Ecotect is a studio companion that enables designers to better understand the relationship between buildings and their environment. As a visualization tool Ecotect interactively displays sun and shadows, solar rays, sun path diagrams and much more. 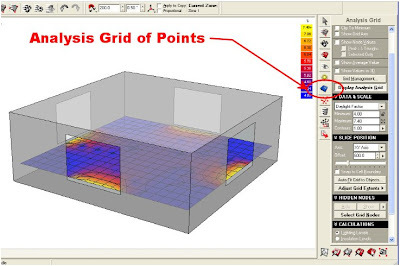 The Analysis Grid is a single 3-Dimensional grid able to collect data over points in space. The analysis grid is used for analysis where the collected values are not interested in surface area or the sun angle. Common analysis here includes internal daylight levels, external sunlight hours, airflow and others. 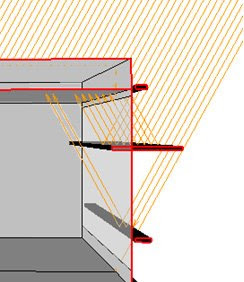 All of the solar related functions can be done within the program itself but for advanced daylighting and CFD airflow Ecotect links up to other programs, many of which are free to use. Analysis surfaces are used to calculate and visualize solar issues that are relative to the sun angle. 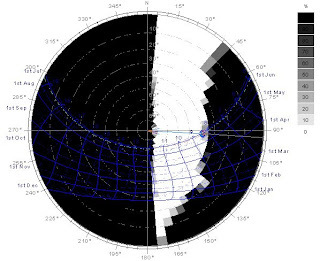 To understand the difference between this and the analysis grid just think that when a surface closer to being perpendicular to the sun it will read higher solar gain values, by contrast points have no area and will all show the same readings for any period of time exposed. 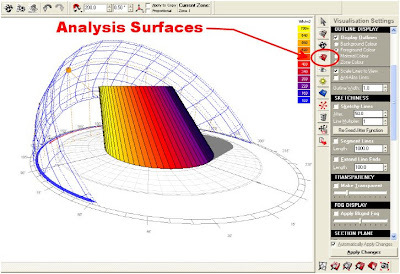 Surface solar analysis is very helpful for early massing and orientation studies, as well as facade design. Ecotect is one of many energy modeling programs, most of which have different calculation methods and intended uses. The strength of Ecotect is with comparative design analysis where you can modify building geometry or attributes and see the relative impact on performance. For more advanced simulations Ecotect can export to other energy modeling programs with varying degrees of successful interoperability. Ecotect very easily re-uses data from other programs as long as the models are either very simple or easily able to be reduced to the basic elements needed for analysis (see previous blog on this subject). 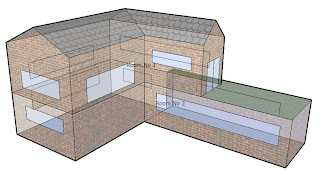 Ecotect is able to import BIM room objects which are converted into zones for thermal and daylighting analysis. 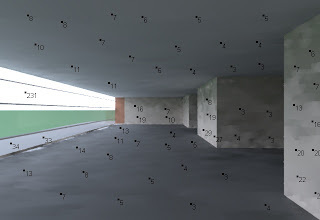 A small to moderate amount of manual cleanup is needed at this point in time depending on the BIM authoring tool used to produce the model (Revit, Archicad, etc). The green software industry moves forward yet again with the recent announcement of an IES plug-in for Google SketchUp. Similar to the Revit Architecture plug-in IES now offers their VE-Ware, their sustainability toolkit and a direct link into Virtual Environment. At the basic level this means that with a free version of SketchUp and a free VE-Ware plug-in, anyone across the globe can design a building or a home and evaluate the energy performance while tracking carbon emissions against the 2030 challenge. For those like myself who are passionate about change, we warmly welcome the opening up of the competition to any clever person owning a computer. At the professional level this opens up these free tools to those modeling accurately in any non-BIM tools which can be exported into SketchUp (Rhino, 3DS Max, etc.). In essence, any firm using Revit in conjunction with other design tools now has the ability to track carbon at every stage of every project…with a free plug-in. Autodesk takes a giant leap forward in the green software industry with the aquisition of Square One Research LTD including substantially all of the assets related to of the Ecotect software tools for conceptual building performance analysis. "Square One Research and Autodesk share a commitment to using technology to make the design and construction of sustainable, high-performance buildings easier and more efficient," said Dr. Andrew J. Marsh, Co-Founder and Head of Research & Development, Square One Research. "We are pleased to join Autodesk and look forward to helping develop and deliver simple and effective building performance analysis to architects and engineers around the world." Autodesk anounced simultaneously that it had acquired substantially all assets related to Green Building Studio, Inc. Integrated Environmental Solutions (IES) has welcomed Richard Quincey (MEng, MCIBSE) as Technical Director: Sustainability Initiatives. Richard brings to IES extensive knowledge and experience in leading edge holistic and sustainable building design. Great to see the Ecotect website live again....with new look! "Acquisitions of Analysis Technologies from Green Building Studio and Carmel Software Will Help Architects and Engineers Leverage Power of Building Information Modeling to Design More Efficient Buildings". 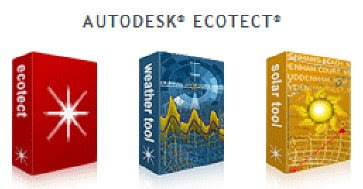 Autodesk announced on Feb 12 2008 that it has signed an agreement to acquire substantially all the assets of Green Building Studio, an innovative provider of web-based building energy analysis that enables architects and engineers to easily perform whole building energy analysis early in the design process. Green Building Studio provides the ability to quickly and efficiently analyze building design proposals, providing building performance information to support sustainable design. Autodesk currently plans to continue support for the Green Building Studio web service and gbXML as an open standard, and to strengthen the web service's integration with its BIM software. "We have partnered with Autodesk for many years, and commend their ongoing support for sustainability," said John Kennedy, CEO, Green Building Studio. 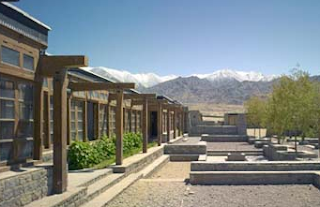 Druk White Lotus School - "perhaps the greenest building ever"
Autodesk has sponsored a film of this project which was shown last month at RCA, London with attendance from His Holiness the 12th Gyalwang Drukpa. The project is I think inspiring for us all, and should be used as a references of how far we can go to green our buildings - this includes Himalayan cultural integration focusing on the needs of young Ladakhis. The IES Revit VE (Virtual Environment) Toolkits are ideal for use at the very early stages of the design process to provide quick assessment options for architects and engineers alike. At early stages in projects up to 70% of the design decisions which affect performance have been made. The Sustainability Toolkit, performs the sustainable design analysis that is so important at these early concept stages – energy use, carbon use, daylighting and solar performance. Helping the design team establish the most appropriate sustainable and energy efficient approach. The following steps provide a quick guide to installing, setting up your Revit model and utilising the IES VE Toolkits. 3. Remove via Control Panel IES if it exists. 1. Add Room objects to your project. 2. It is important that the Rooms in Revit are built correctly and bounding on all sides, otherwise the results will not be accurate. For full details see this IES guide. Start of with a really small project, maybe only a couple of rooms and really understand what is being analysed and how changes in your model are being reported by the IES analysis tools. How does IES know the north rotation - as at no time did I specify this, I assume it uses project north and ignores Revit true north if set in the project? This years Green Build 2008 international conference and expo event is in Boston, US - Nov 19-21. "Buildings play a critical role in protecting and improving our environment and the health of the people who occupy them. USGBC’s Greenbuild conference and expo is an unparalleled opportunity to connect with other green building peers, industry experts, and influential leaders as they share insights on the green building movement and its diverse specialties." Economist: Heat From The Street! Rona from our NY office has found this great new idea of capturing solar energy from the surfaces we walk and drive on in the Heat From The Street article! Our Director of Sustainable Design in NY says: "This article illustrates the sort of simple and great “out of the box” ideas that have enormous potential in our work to design a more sustainable world. This is also the type of idea that exemplifies the integrated design approach and the power of early “visioning” that returns us to simple ideas unconstrained by “design as usual”. Kevin Settlemyre, a leader in the sustainable movement in the US's Northeast, has been appointed by Integrated Environmental Solutions (IES) Limited to head up its North American operations, which are headquartered in Boston. More on TenLinks Daily. Thanks again for attending all or some of the BIM/Sustainable webinars in December. All of the Presentations including audio are now on KNet. Great lunchtime listening/viewing! Merry Christmas, Happy Chanukah, and Happy Holidays! Yesterday (12 Dec 2007) IES announces a new plugin within Revit Architecture links to IES software and enables easy top-level analysis of energy efficiency and building performance at early stages of the design process. Think 2008 - May 7-8 London! 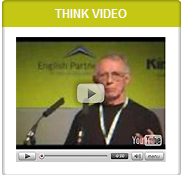 Registration for Think, the leading UK exhibition and conference on sustainability in the built environment is now live. Entrance to the exhibition is free if you pre-register here. The show floor is zoned, taking visitors on a journey through sustainable delivery in the built environment. Visitors will see leading companies in every sector of the market. Is politics getting way of climate change? In an excellent Newsnight report tonight, the BBC report focuses on the Bali summit and looks at. “How much of a country's emissions are down to the way its people live? Countries like China and India may be among the world's worst CO2 emitters - but a great many of their citizens' carbon footprints are very small.” More..
Associated Press reports "Delegates at the U.N. climate conference struggled to agree Tuesday on whether they will call on rich nations to cut greenhouse gas emissions"...on the 10th anniversey of the birth Kyoto Protocol today. More Newsnight - Climate Maps - Fair Solution? Greenbuild365 website this year that will broadcast live the plenaries and masterspeaker sessions at Greenbuild in Chicago. They will also include a blog, interactive polling and other features during the week. This includes opening plenary by Bill Clinton - watch it live Nov 7. "Be at the forefront of low carbon building design"
Here is a nice video 5 min from Green Building Studio for Designing a building to be carbon neutral in Five minutes using their online web service. 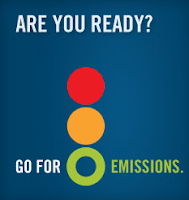 Steps to zero carbon emissions! To coincide with HOK’s Emissions:2010 campaign, here is some exciting news about upcoming webinars being offered by the USGBC on Carbon Emissions Reduction strategies. Register today for the U.S. Green Building Council's new Carbon Reduction Webinar Series and take the first step toward achieving "zero emissions" for your company or your building projects. In partnership with climate change experts from Pew Center on Global Climate Change, World Resources Institute, and CTG Energetics, Inc., and media partner Stamats Commercial Buildings Group, USGBC brings you its newest webinar series. "Sustainable Design Integration for Structural Engineers," Structural Engineer, August 29, 2007, by HOK's Ruben Aya-Welland. Read the story. 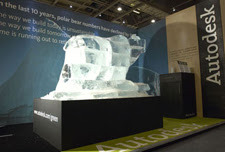 Autodesk was highly commended for its “sustainable participation” in Think 07 where their centrepiece was a huge ice sculpture of a polar bear, reminding us of the urgent need to act on global warming and to protect natural resources. The Organizational Excellence Award was presented this year to HOK and was accepted by Mary Ann Lazarus, Senior Vice President. Sustainable design is a core value for HOK, and is integral to every aspect of the firm's work and operations. HOK was the first large design firm to join USGBC, and HOK's sustainable leaders helped USGBC develop the first LEED rating system. The firm has continued to be an active partner in USGBC, providing leadership in the LEED program and sponsoring and participating in Greenbuild and other USGBC activities. Building on two decades of experience in sustainability, HOK creates value for our clients through innovative, environmentally responsible design. The Building Sector: Kyoto Is Easy!! Here is a powerpoint from Busby and Asccociates Architects describing some solutions needed to be able to meet the C02 emmisions targets of Kyoto Protocol. "8% of the worlds C02 emmissions come from the production of cement!" Producing one tonne of cement emits approximately one tonne of CO2. I have just stumbled across these articles which are worth recording on my blog....Natural Frequency is an electronic journal for articles on the environmental design of buildings and the application of analysis and simulation in architecture by Dr Andrew Marsh MD of Ecotect. "Don't — feel like you have to immediately master the new simulation programs that perform the analysis. Grow into these programs over time. Look for young architects coming out of school that have the aptitude and interest in using these programs. For those who will never grow to use them, it is absolutely fine. Again, just be the best in the world at providing the data necessary to run the simulations and interpret the results. Don't — wait until the design is done to have a simulation performed. It is best to do these kinds of studies at the conceptual design stage so that you still have time to make modifications to the design for optimizing the energy efficiency of the building. 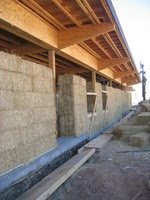 Do — begin to read about sustainable design and which tips and tricks you can employ to keep buildings warmer in the winter and cooler in the summer without additional energy consumption. A good place to start learning is the World Green Building Council website. Do — develop an understanding for energy-efficient building components and attempt to specify them as much as possible in your designs. Do — develop a relationship with an engineer that employs advanced energy simulation software. Be very good at generating the necessary inputs so that it is easy to run analysis against your designs. Do — market your newly found skills. Architects don't normally appeal to clients with an energy competence message. It's time! Do — consider starting your projects in 3D from the outset. 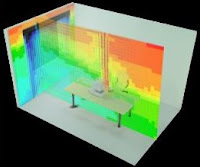 The virtual model linked to software assessing building energy efficiency can lead to improvement in the overall design. " "eQUEST is a sophisticated, yet easy to use, freeware building energy use analysis tool that provides professional-level results with an affordable level of effort. 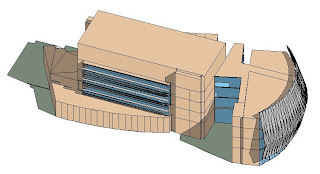 eQUEST was designed to allow you to perform detailed comparative analysis of building designs and technologies by applying sophisticated building energy use simulation techniques but without requiring extensive experience in the "art" of building performance modeling. 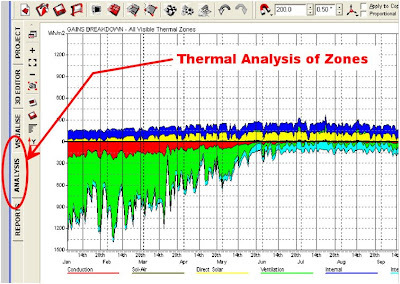 The DOE-2 software was developed by James J. Hirsch & Associates (JJH) in collaboration with Lawrence Berkeley National Laboratory (LBNL), with LBNL DOE-2 work performed mostly under funding from the United States Department of Energy (USDOE)"
TAS is a suite of software products, which simulate the dynamic thermal performance of buildings and their systems. The main module is Tas Building Designer, which performs dynamic building simulation with integrated natural and forced airflow. It has 3D graphics based geometry input that includes a CAD link. Tas Ambiens, is a robust and simple to use 2D CFD package which produces a cross section of micro climate variation in a space. I have just posted details of four rating systems around the world. I have taken a quick look at the LEED, BREEAM, CASBEE, GREEN STAR websites here I have posted a summary of them and what they offer. India is currently looking to implement LEED, Canada has adopted LEED with amendment, UK has used their own long established system of BREEAM. If you are using these systems I would be interested to know how helpful the tools you used where for early design analysis and if you have any lessons learned. Promoting sustainability is a major social challenge.As the building industry consumes large amounts of material resources and energy, specific technological and political means should be developed in order to promote sustainable buildings.To be nationally authorized in Japan, a cooperative academic, industrial and governmental project has been to establish a new system called the Comprehensive Assessment System for Building Environmental Efficiency (CASBEE). Construction consumes and discards resources and energy in enormous quantities, is one field where we must act urgently to develop and promote techniques and policies able to assist the drive towards sustainability. · be structured to award high assessments to superior buildings, thereby enhancing incentives to designers and others. · be as simple as possible. · be applicable to buildings in a wide range of applications. · take into consideration issues and problems peculiar to Japan and Asia. The Green Building Council of Australia (GBCA) has developed a national environmental rating tool for buildings called the ‘Green Star’ rating system. The tool rates a building in relation to its management, the health and wellbeing of its occupants, accessibility to public transport, water use, energy consumption, the embodied energy of its materials, land use and pollution. Green Star aims to assist the building industry in its transition to sustainable development. · raise awareness of green building benefits. The BRE assessment methods and tools are all designed to help construction professionals understand and mitigate the environmental impacts of the developments they design and build. Credits are awarded in each of the above areas according to performance. A set of environmental weightings then enables the credits to be added together to produce a single overall score. 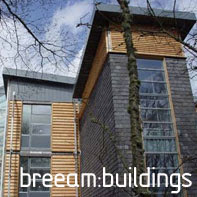 BREEAM assesses buildings against a set criteria and provides an overall score which will fall within a band providing either a Pass, Good, Very Good or Excellent rating. 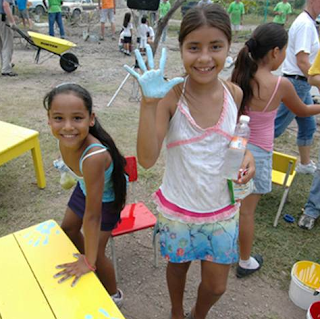 Non-profit organization dedicated to sustainable building design and construction. Developers of the LEED building rating system. The council is a community of more than 10,000 organizations from every sector of the building industry united by a common purpose: to transform the building marketplace to sustainability. · are built as designed and perform as expected. To earn certification, a building project must meet certain prerequisites and performance benchmarks ("credits") within each category. Projects are awarded Certified, Silver, Gold, or platinum certification depending on the number of credits they achieve. USGBC will fully rebate certification fees for any project awarded LEED platinum certification. "ECOTECT Is an industry leading building analysis program that finally allows designers to work easily in 3D and apply all the tools neccesary for an energy efficient and sustainable future...ECOTECT is a complete building design and environmental analysis tool that covers the broad range of simulation and analysis functions required to truly understand how a building design will operate and perform." I like the 3D interface with this software, Architects like this as the results are very visual with dynamic 3D views and false colour diagrams - in early design these tools stimulate a healthy conversation and design debate….may need supporting with engineering consultancy at later stages of project. "IES There is now a direct link between the 3D modelling platform Revit and the IES . Jointly developed between IES and Autodesk, it represents a revolutionary change for design teams working from a common model. Not only does IES software calculate heating & cooling loads within Revit MEP, but the suite can be launched in order to carry out the full range of sustainable design analyses. Dedicated toolkits have been developed to make these analyses more accessible to users who are new to the field. The now allows for the import of gbXML files. New interface for gbXML files sourced from Revit Architecture’s June 2007 update." IES tools have now a connection with Revit MEP since early 2007, this is a great step forward for the industry and has generated much discussions as to the fit of IES in the Architectural workflow. The IES tools are very sophisticated and relied on by many engineers. It is questionable about how useful IES will be for Architects early in design…happy to see examples of how this could work. "Green Building Studio If you are involved in the building design and construction industry and are concerned about meeting today’s significant energy and resource reduction goals, you know how difficult it is to determine which actions to take to meet these goals. 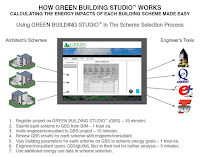 Green Building Studio, Inc. provides the only web-based energy engineering analysis solution that integrates with today’s 3D-CAD/BIM applications. Green Building Studio enables your design team to have immediate whole building energy analysis results on all building schemes while sharing files with today’s engineering tools. This solution reduces two weeks of work to a day." This is a web-based solution where you upload your GBxml file for testing...I'm not too sure how this solution is favored by Architects but worthy of trying out. GBxml can be output from Revit files. "EnergyPlus is a building energy simulation program for modeling building heating, cooling, lighting, ventilating, and other energy flows. While it is based on the most popular features and capabilities of BLAST and DOE-2, it includes many innovative simulation capabilities such as time steps of less than an hour, modular systems and plant integrated with heat balance-based zone simulation, multizone air flow, thermal comfort, and photovoltaic systems. 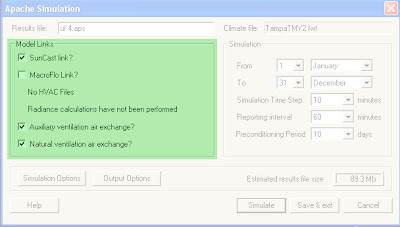 EnergyPlus is a stand-alone simulation program without a 'user friendly' graphical interface. EnergyPlus reads input and writes output as text files." No graphics, this is all text based. Useful for early design, not sure how it will be taken up by Architects who love to visualize. I would welcome your comments on how you are using building simulation tools in your process and to the usefulness that they bring. Please let me know if you prefer other solutions. Carbon Neutral Building Design – How Low Can You Go? Welcome to my new GREEN BIM blog! 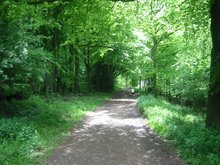 I plan to capture my path into green design in architecture; you can visit this site to see how I get on. ..these are early days for me - you could say I am a bit of a Green newbie. There are some early indicators of direction in respect of tools I may use these include IES and Ecotect which seem popular....and rating systems like LEED and BREEAM being well established in the industry….there is much talk about reducing carbon footprint and less talk about negative carbon footprints…there is much talk about making our new building greener and less talk about re-using our existing building stock. Can you do “green design” for a company whose building is for a Cigarette manufacturer! Designers are aware of the need for sustainable design but are often unsure what to do, often decisions are made to late when costs for change will be high and there is no appetite to delay the programme. The idea of doing early design is important....the orientation of a building for example may not give significant savings in construction costs but can give significant savings in energy use and life cycle costs.